Workampers and RVers in general sometimes use words and abbreviations beyond those you would be accustomed to hearing while living in a traditional home. 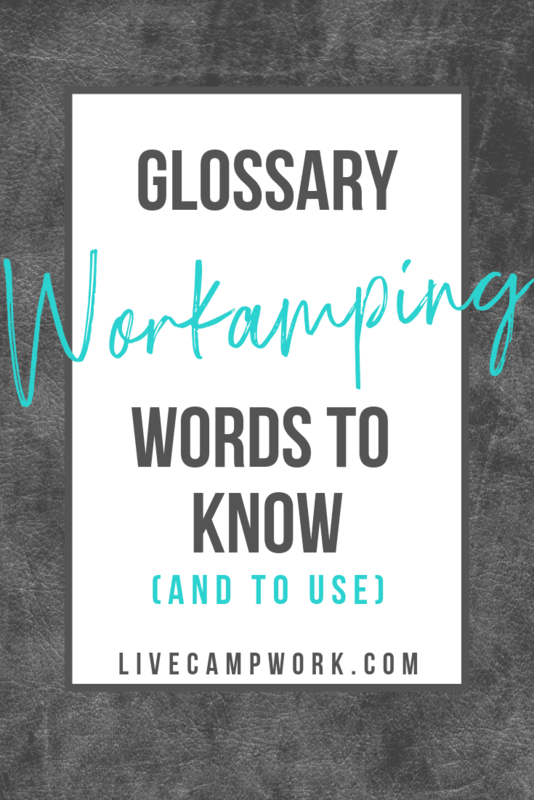 Here is a list of the RV terms you need to know while RVing full-time and Workamping. Make sure to get yourself familiar with the terms, so looking and communicating with employers and fellow RVers will be effortless! Blueboy: A portable waste tank, usually blue in color. Bunkhouse: RV models with bunk beds. Class A: Motorhome usually ranging from 26-40 feet in length. Class B: Smaller van-like motorhomes. Class C: Motorhome with cab section over the driving area for sleeping or sometimes entertainment and storage. Dry Camping: Boondocking- Camping without utilizes. DW: Dry weight- the weight of the RV without supplies or passengers. Extended Stay: Sites reserved for RVers who wish to stay for longer periods of time. Usually monthly or season. Fifth-Wheel: Pull behind RV type with special hitch inside the bed of a pickup truck. Fresh Water: Water that is safe to drink. Full-time: Traveling in an RV year-round. Grey Water: Used water from the kitchen, bathroom sinks, and shower. Hitch: Joint that is used to secure two vehicles for towing capability. Hookups: Utilities like electric, water, sewer, and cable. Rig: Another term to describe your RV setup. Shore Power: Electricity provided by an external source. Sticks and Bricks: Traditional housing options. Travel Trailer: Non-motorized RV units that need to be towed by a truck or large SUV. Winterize: Special steps to prepare the RV for Winter use and/or storage. 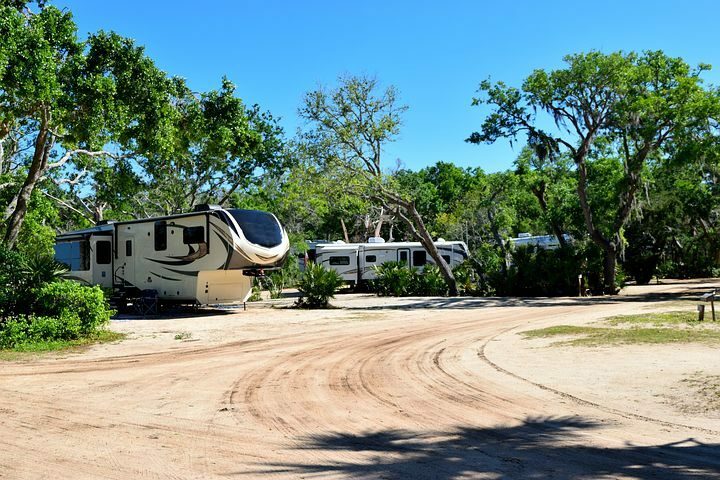 Workamper: Adventuresome individuals, couples and families who have chosen a wonderful lifestyle that combines ANY kind of part-time or full-time work with RV camping. If you work as an employee, operate a business, or donate your time as a volunteer, AND you sleep in an RV, you are a Workamper!